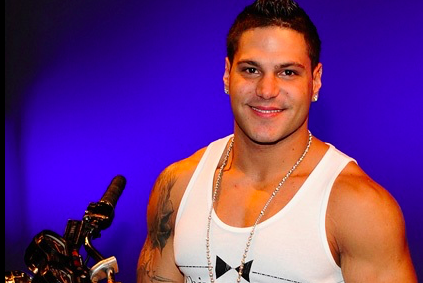 Ronnie Ortiz-Magro, 32, from MTV's "Jersey Shore." A turbulent year for "Jersey Shore" star Ronnie Ortiz-Magro and girlfriend Jen Harley took another disturbing turn this past weekend in Las Vegas. After the couple made headlines in late April for an Instagram Live post that turned into a blowout argument, fans hoped tensions would subside for the new parents. If they did, the calm was apparently very short-lived. Harley was arrested in Las Vegas on Sunday after she allegedly punched Ortiz-Magro in the face as they drove home from a barbecue with their two-month-old daughter, according to TMZ. When Ortiz-Magro asked to be let out of the vehicle, Harley allegedly took off before Ortiz-Magro had freed himself from his seatbelt, dragging him along the roadway. Authorities booked Harley at the Clark County Detention Center and charged her with domestic battery. Ortiz-Magro reportedly suffered facial injuries and road rash. The couple's long on-and-off history has been subject to growing public scrutiny as Ronnie stars in "Jersey Shore: Family Vacation," the reunion series which wraps up its first season this weekend on MTV. Sunday's incident was evidently not connected to the show, whose second season was ordered earlier this year and is expected to take place in Las Vegas.